If you haven’t disposed of your plastic waste yet, you still have two more days before the ban comes into play. For those of you who are unaware, the BMC has imposed a fine of INR 5,000 if you’re found carrying plastic the first time, INR 10,000 for the second offence and INR 25,000 with a 3-month jail term for the third offence, according to this report. The government had, in March, banned the manufacturing, sale and use of all single-use plastic bags. Apart from this, they also banned products like cutlery, single-use containers and straws. To make things easier, here’s a list of items you can use and you must throw immediately. All malls across the city cannot hand out their high-quality carry bags. If you have decorative items made of plastic or thermocol, you’ll have to get rid of them too. Apart from this, cutlery, plates, bowls, cups and other items made of plastic are also under the scanner and are banned. Cloth bags are allowed but a non-woven variety of polypropylene bags (a cross between paper and cloth bags) are not allowed. Items like PET bottles that are used for soft drinks, shampoos, medicines, etc., milk pouches and garbage bin liners are good to use; even tiffins and bottles made of plastic can be used. Since it’s the season, items like raincoats, tarpaulin sheets, plastic wrappers for packaged wafers and chips are safe to use. Apart from this, plastic bags for agriculture, horticulture and plant nurseries are allowed. Even food grade virgin plastic bags over 50 microns are safe to use. You can call the helpline – 1800-222-357 to get all the banned plastic waste to be collected from your home, but keep in mind that you must discard at least 10kgs of plastic to avail this service, according to this news report. The BMC has also planned an exhibition from June 22 – 24 at NSCI Worli, to spread awareness on alternatives, plastic recyclers and bottle crushers. 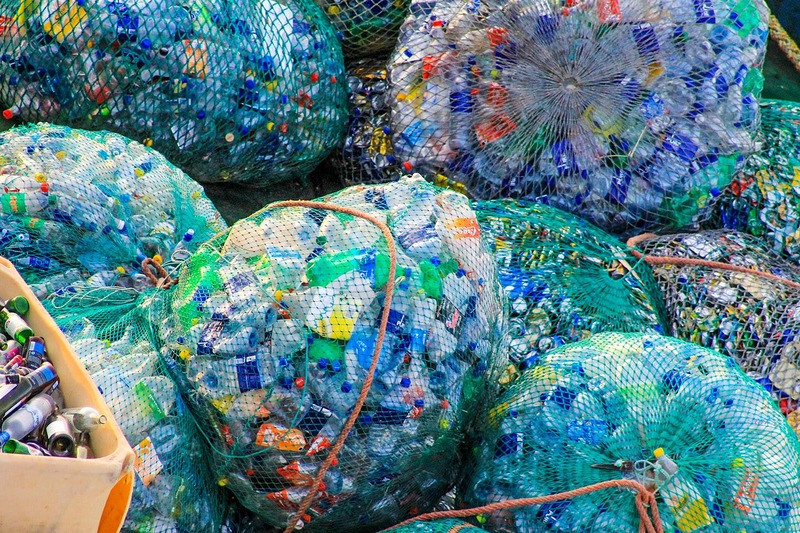 It’s time to trash plastic for a greener future, what say?